When an airline lost my luggage, in Mexico in 2014, I had a lot of questions. Is there delayed baggage compensation? What’s the schedule? When can I expect my bag? What’s the likelihood of return? Is it getting hot in here or is it just me? Your cheeks flush as these concerns swirl endlessly in your head. Then, your stress levels veer off the charts—you just wasted yet another minute waiting in a never ending line. Trying to stay positive so you can talk to an agent, you’re losing hope by the second. There, there. It’s not as bad as it all seems. My luggage made its way to me eventually, and yours (probably?) will too (hopefully). If an airline lost your luggage, here’s the step-by-step guide of what to do to get it back. We’ll get through this. Deep breaths. Yes. Zen. Calm. 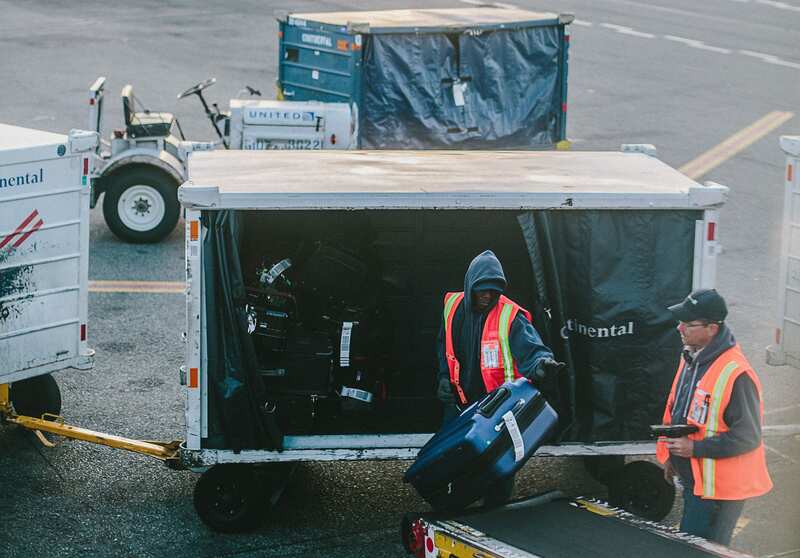 Get the inside scoop from the airline about protocols and procedures for having luggage returned to you. Then, be sure that you speak with an airline representative and submit your claim before you leave the airport. When can I expect my bag to be returned? What is my compensation for the loss or delay? Who will be bringing it? It’s going to feel very tempting at this point to be rude and angry with the airline agent that’s helping you. No matter how sleep deprived or hungry you’re feeling, do your best to stay pleasant and make reasonable requests for your inconvenience. Vouchers for food at nearby restaurants, an airport hotel, or basic necessities, like toiletries and clothes, are not outside the realm of possibility. Financial remuneration for the loss or delay might even be in order. Here are the delayed baggage compensation policies for three major airlines: American, United, and Delta. You must file an immediate notification and receive a file reference number, which you can use to track your bags digitally. American will reimburse you for items needed immediately if you file your receipts within 45 days. If your bag is delayed more than five days, you’ll have to submit additional inquiries. Liability for loss, delay or damage to baggage is limited to $3,500. For international flights, baggage issues should be reported to the airport Baggage Service Office (in the airport) immediately after the arrival of your flight. If your bag isn’t found within three days, you get an automatic $1500 stipend without requiring any documentation. If the items in your bag were worth more, you can claim up to $3500 reimbursement. Similar to American, liability for loss, delay or damage to baggage is limited to $3,500. If you don’t receive your lost bag within 12 hours of having reported it “delayed,” you may be eligible for electronic travel voucher rebates. You can claim reimbursement for “reasonable expenses”—generally around $50 per day—for the first five days the bag is delayed. Having an itemized list of the contents of your luggage will come in handy if your bag is ultimately declared lost—AKA not returned to you within 30 days—and could improve your chances of being reimbursed for lost items via stipulations of the Montreal Convention (this 2003 decision guarantees certain rights of passengers whose luggage has gone missing between two participating countries). *If you’re on the ball / skeptical of an airline’s track record for losing luggage, you might do this in advance. Step 5: Have Travel Insurance? Submit a Claim. Typically, travel insurance baggage coverage falls into two categories—you can opt to have one, both, or none. The permanent loss of luggage is covered under travel insurance baggage coverage, which reimburses the insured traveler, up to the policy limit, for the value of lost luggage and its contents. Look over your policy to determine which coverage you have and then follow the instructions per your underwriter’s demands for coordinating next steps. I definitely recommend reviewing this before leaving the airport, just in case your insurance requires specific documentation or proof of loss in order to submit your claim. You’ve pre-packed youre daypack with an emergency outfit and your must have’s, riiiight? RIGHT? Great. We’re glad you thought ahead about this possible hiccup and planned for it. 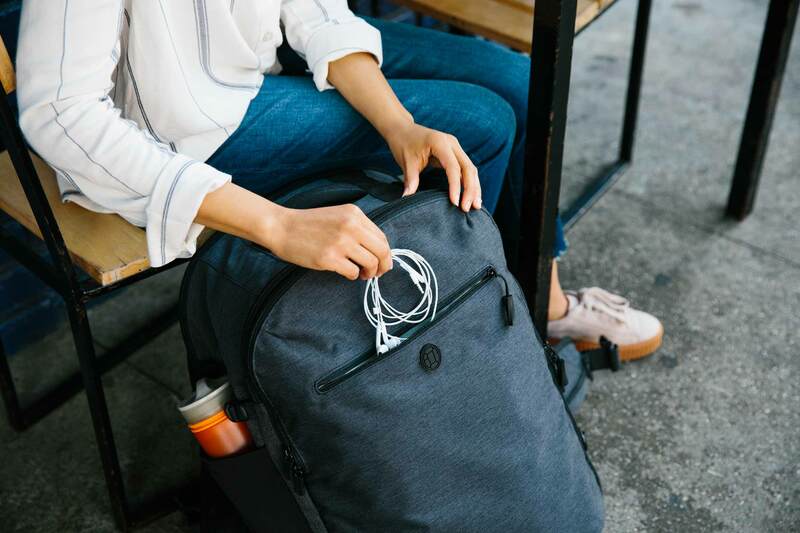 You’re a smart, savvy traveler and when you’re finally reunited with your pack, you’ll be all the more grateful for it. If not… well, this is where you learn for next time to pack a personal item so that you’re covered when disaster strikes. This is not the time to go wild with your credit card, nor to toss your receipts into the rubbish bin. Most airline carriers will require receipts, at a minimum, before approving your reimbursement claims. Make digital copies of all receipts and organize them neatly in the cloud, but also keep your physical copies safe and legible for submission, too. Airlines and insurance providers are notorious for not making this process easy. Beat them to the punch and stay organized every step of the way. Minimize the chances of an airline losing your luggage by avoiding the following behaviors that up the risk of losing a checked bag. If you’re checking a bag, go to the airport early so your bag has time to make it to the plane. Bellying up to the check in counter only 45 minutes before your flight departure adds to the risk that your bag won’t make the plane, even if you do. When you check a bag, arrive early, check the bag right away, and then spend the extra time relaxing. Don’t make your bag race for the plane. Every time an airline has to transfer your bag, they also have an opportunity to jack up your day. Booking direct flights or limited connections decreases the chances of your bag going AWOL. We’ve all seen those weird shaped bags that end up in the large and awkward pile of stuff in the baggage claim area. You probably don’t need to travel with your upright bass or your golf clubs. If you really do, then consider shipping them directly (and insured) to the address of your destination instead of flying with them. Or, rent specialty items when you arrive. 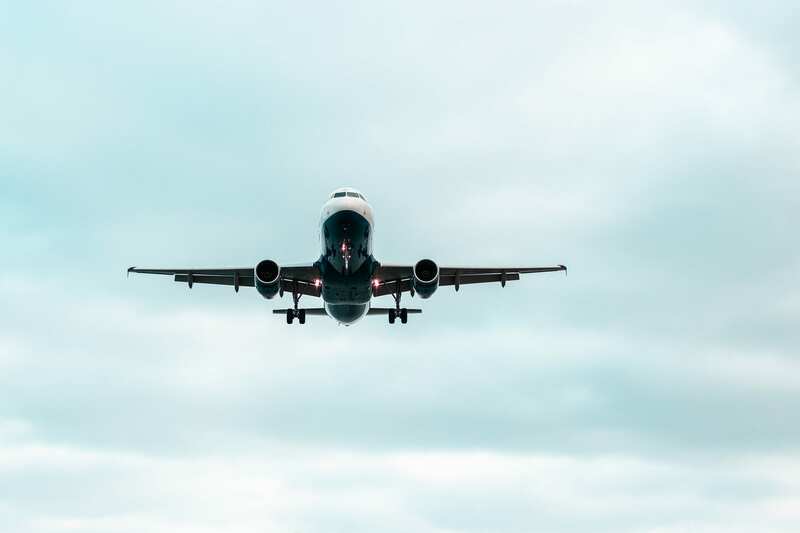 If you absolutely have to fly with specialty items, it’s worth the extra cost to fly directly and avoid a connection. If you can’t do that, consider buying your oversized item a seat and carrying it on. Check your airline’s policies for large and specialty items. Tag it before you wrap it! But be warned: Having a luggage tag with your home address won’t really help you if you are going to Peru. Instead, have an up-to-date luggage tag on each and every item that you check into an airline— with your intended address abroad and on-the-ground phone numbers. Your home address isn’t helpful if you expect your bag to find you on a trip. Consider adding two luggage tags to every bag. One permanent one with your home address clearly marked and one temporary one with your intended travel address, also clearly marked. That way you’re covered no matter what. You can increase your odds of being reunited with lost luggage if you go a step further and also include a separate piece of paper with identical contact info on it inside your bag. That’s the mark of a pro traveler (or maybe just one who’s been burned by an airline before). Having heavy or overweight luggage doesn’t do anything to endear you to the airline representatives. Heavy bags require special treatment. You don’t want to make it more likely for your bag to be the one they don’t put on the plane and delay to the next flight, do you? Another reason to pack light. You could be without your bag for up to a few days—maybe even a week—while abroad in a new country. How are you going to cope? Hopefully you packed at least one change of clothes and your necessities in your carry on bag or daypack. Think ahead about what you would need in case the worst happens and the airline loses your luggage. Make sure you have those items in your daypack. Always. There are things that the airline can and should give you, like toiletry bags and t-shirts. Don’t be afraid of pushing for things—firmly but respectfully—like delivering your bag to you, even if you’re an hour away. You shouldn’t have to return to the airport to get it. They should deliver it to you. Lost luggage is not an issue if you don’t check a bag. Period. Every time you do, you give the airlines an opportunity to mess up your plans and make your travels miserable. You might lose most of your valuables, or be stuck in Southeast Asia with only one pair of pants and hardly any your size on the racks for purchase when you want to replace them. Instead of leaving your fate up to the travel gods, avoid the disaster altogether by investing in a travel backpack and refusing to check a bag. Don’t think you can possibly pare it down and travel in only a carry on? Step Down to Carry On: Let it Go! As the baggage conveyor belt sweeps idly by, and your heart sinks with the realization that your items didn’t make it, hang in there. 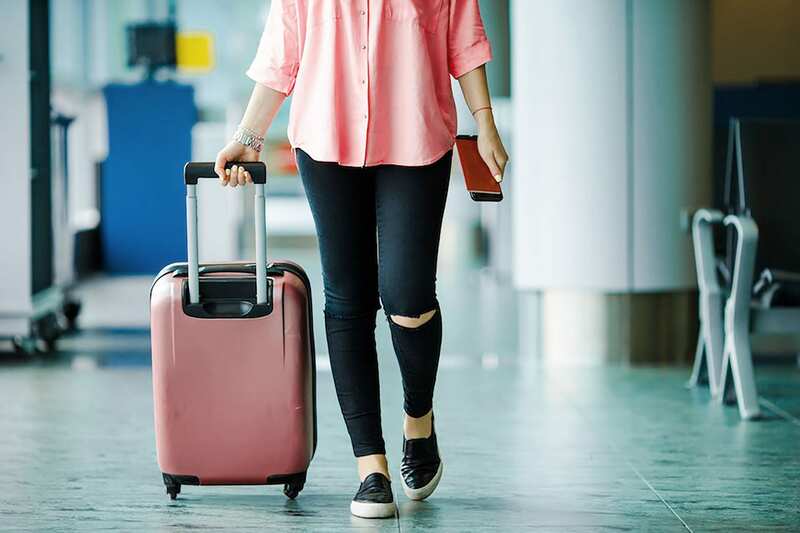 Work through the seven steps to follow when an airline loses your luggage before you depart the airport—and definitely don’t skimp on requesting delayed baggage compensation. To avoid the potential misstep altogether, avoid behaviors that can increase the risk of your personal property being lost. Or, if you’re smart, you’ll just consider packing carry on only (our fave). It’s the best strategy for avoiding lost luggage!